Dimensions 0.75 by 7.25 by 9.25 in. Operations Strategy is focused on the interaction between operational resources and external requirements. Companies such as Apple, Google and Tesco have transformed their prospects through the way they manage their operations resources strategically, turning their operations capabilities into a formidable asset. 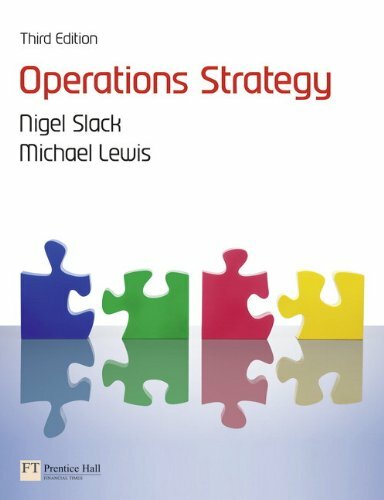 These and other examples in this book illustrate the broad and long-term issues of Operations Strategy that complement the more operational, immediate, tangible and specific issues that define Operations Management. Building on concepts from strategic management, operations management, marketing and HRM, this text offers a clear, well-structured and interesting insight into the more advanced topic of Operations Strategy in a variety of business organisations.